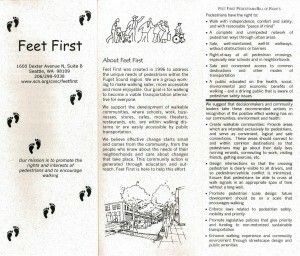 Feet First began in 1995 as a group of citizens and professionals interested in promoting walkable communities. In 2001, we became an official 501(c)(3) nonprofit. A grant from the Robert Wood Johnson Foundation allowed us to hire our first staff person at the end of 2003. Today we’re a fast-growing organization with passionate board members, staff, and volunteers supporting our vision of people walking every day for their health, transportation, environment, community, and pleasure. Feet First is founded at a meeting of interested transportation activists attending the Alt-Trans annual meeting (now the Transportation Choices Coalition). At the meeting, the group decided to form a new organization dedicated to promoting walking and the rights and interests of pedestrians. The name “Feet First” was selected a few months later. Feet First holds its first crosswalk action at the Hearthstone Senior Center in east Green Lake. Seniors had trouble crossing busy Green Lake Drive to get to the lake and wanted a pedestrian crossing signal. A group gathered with signs and began legally crossing the street back and forth to draw attention to the problem. The event got media coverage and was included in the Green Lake Neighborhood Plan. A few years later, the Seattle Department of Transportation built a signal using early implementation funds. Subsequent crossing actions have been held at Ballard, Greenwood, Roanoke Park, and Aurora. Despite plenty of enthusiasm, Feet First has trouble gaining traction as an all-volunteer organization. The group distributed brochures, published a newsletter, conducted walks, and held fundraisers. However, without a dedicated staff person to coordinate activities, it was difficult to sustain these activities. Feet First receives official 501(c)3 nonprofit status allowing Feet First to apply for grants and provide tax-exempt receipts for donations. Feet First publishes its first walking map, the “Ballard Pedestrian’s Friend.” The useful map shows walking conditions throughout this Seattle neighborhood and general tips on safe walking and driving. Since then, we have produced popular walking maps in many other communities including Lower Queen Anne, West Seattle, White Center, Skyway, Central District, NE Seattle, Burien, Kirkland, Laurelhurst, North Beacon Hill and South Park. Pedestrian Summer includes a series of events from May to October including guided walking tours and other events. The purpose of the events was to promote the “Education, Enforcement, Engineering, and Encouragement” of walkable communities. The campaign was spearheaded by City Councilmember Richard Conlin and had support from Mayor Nickels, the City Council, and many businesses and nonprofits in the Seattle area. Feet First applies and receives a $200,000 grant from the Robert Wood Johnson Foundation to promote Active Living by Design in selected neighborhoods around Seattle. This five-year grant provided seed money to hire Feet First volunteer David Levinger as Executive Director and to open an office in Downtown Seattle’s Joseph Vance Building. The hiring of a full-time Executive Director with an office provided Feet First with the organizational structure it needed to grow. 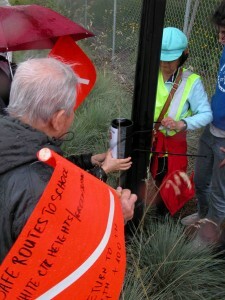 The brainchild of longtime Feet First activist and former Board Member Lester Goldstein, these handy orange flags improve visibility for people trying to cross the street. Feet First produced one thousand flags for distribution to people interested in pedestrian safety. 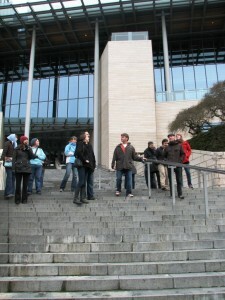 Feet First organizes an urban design tour of Vancouver, British Columbia. Sponsored by Vulcan Inc., dozens of planners, engineers, and other officials were invited to tour various urban design elements in the city. Feet First launches the Safe Routes to School program (SRTS) with work at Baily Gatzert Elementary School, funded from the Washington State Department of Transportation. The centerpiece of this effort was the formation of walking school buses, whereby a family member would accompany children from a given neighborhood to school and back. This program would receive the 2006 Safety Superstar award from the Washington Traffic Safety Commission. 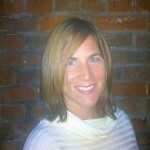 Jen Cole was hired to run SRTS the following year. 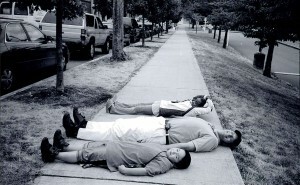 We have subsequently coordinated program efforts to encourage walking at various schools all over the Puget Sound Region. Feet First helps organize the groundbreaking ceremony for the beginning of the construction of the Burke-Gilman Trail extension to Golden Gardens after testifying at numerous city and county-wide events in favor of the extension. Feet First continues to advocate for extensions of both the Burke-Gilman and other walking trails in the region. 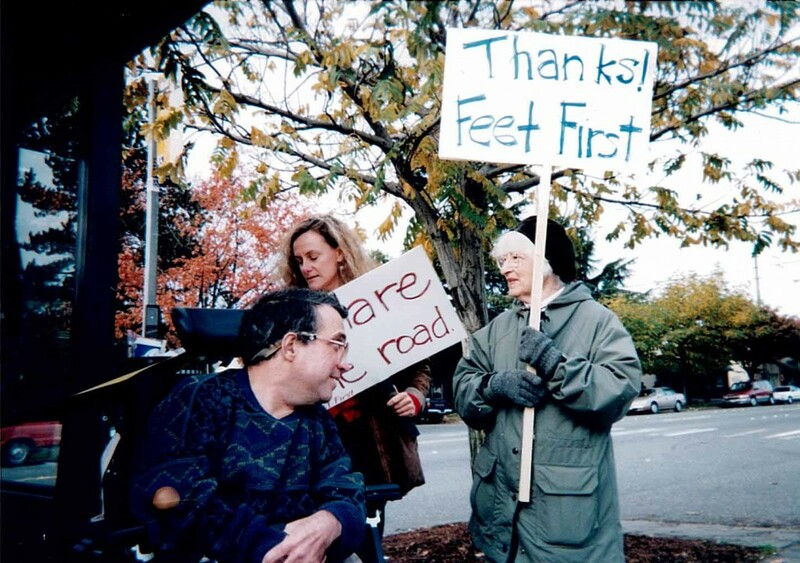 In May of 2005, Feet First conducts its first walking audit in the Crossroads neighborhood of Bellevue with the help of residents, civic leaders, and planners. The chicken begins crossing the crosswalk – after looking both ways, of course. 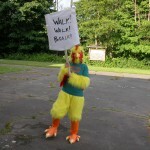 The Feet First Chicken has since become a beloved mascot for the Safe Routes to School program. 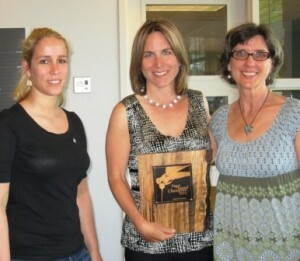 Feet First wins the Innovative School Project award for their project at TT Minor Elementary. This project was a subset of the larger Active Seattle Project. 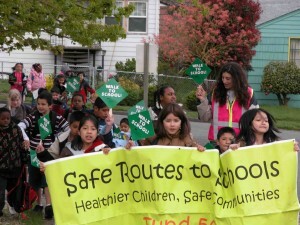 The first Statewide Conference for Safe Routes to School takes place in Lynnwood, Washington, in May 2007. The conference was organized by Feet First and the Bicycle Alliance of Washington in the joint role of the Center for Safe Routes to School in Washington. The conference featured 20 speakers and attracted 125 attendees from across the state. We followed up with a second statewide conference in Spokane the following year. 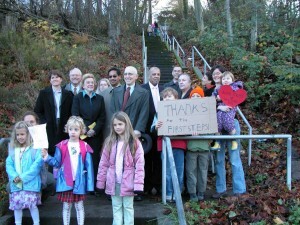 Following a 2007 Walking Audit for Sanislo Elementary School in Delridge, the Seattle City Council pledges to improve the outdoor stairway from Delridge Way Southeast to Southeast Myrtle Street, a major walking route to school. Some parents had their children skip school in the morning to join the press conference to kick off the effort that would result in pedestrian-scaled lighting and landscape improvement along the stairway. Lisa Quinn is hired as permanent Executive Director. Lisa was selected from a competitive nationwide search. 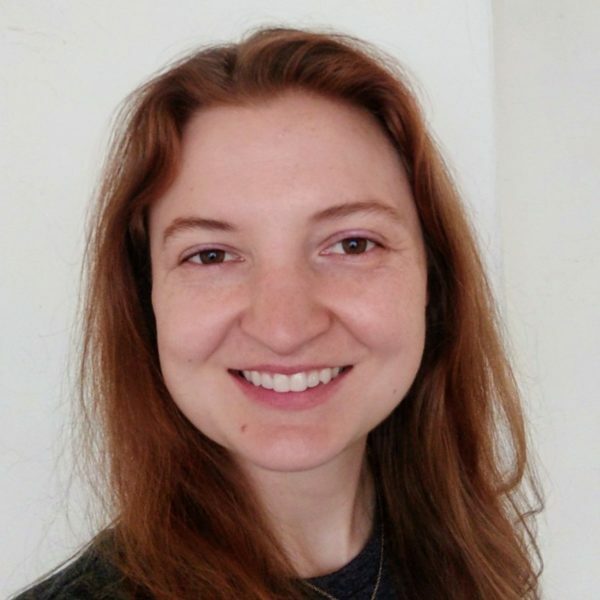 She was previously Rideshare Manager for the San Luis Obispo Regional Council of Governments in San Luis Obispo, California. She brought a wealth of experience working on transportation issues in California and the Pacific Northwest. 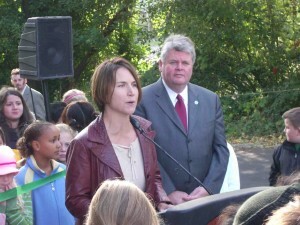 Lisa Quinn and Mayor Greg Nickels speak at a ribbon-cutting ceremony for a new sidewalk at Sanislo Elementary School. Feet First organizes its first annual PARK(ing) Day in the Seattle area. 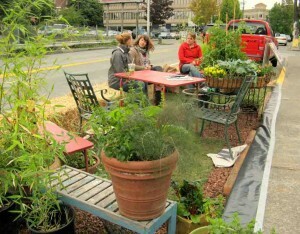 Dozens of parking spaces are transformed into mini-parks where passersby participate in various fun activities. PARK(ing) Day is an annual one-day global event where artists, activists, and citizens independently but simultaneously transform designated on-street parking spots into “PARK(ing)” spaces: temporary public parks showing people what their city would look like if more public space was allocated for urban parks, recreation, social interactions, and other people-centric pursuits, rather than the movement and storage of cars. 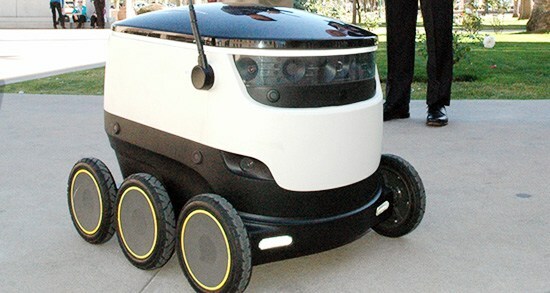 The Go Cart to Groceries project focuses on physical activity and access to healthy foods. This project was the first of its kind in the nation to change behavior and increase the number of people who go by foot to shop. 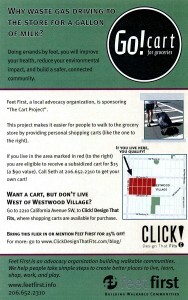 The cart project received media coverage and interest from other neighborhoods throughout the Puget Sound Region. Seattle City Council adopts the Pedestrian Master Plan, which was the first citywide action plan focused on walking. Feet First’s former interim Executive Director Rebecca Deehr and board member Chas Redmond served on the Pedestrian Master Plan Advisory Group. Feet First lobbies City Council for adoption of the plan. 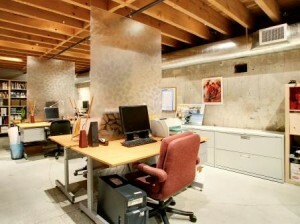 Feet First finds its new home in Pioneer Square in the Nord Building. Walking Ambassadors organize walks around their neighborhood. These walks are themed, interpretive events bringing neighbors together to explore the community. Examples may include a walk to visit a new park or pathway, an historical walk, a nighttime holiday walk, or a nature walk. Feet First has held two training sessions to educate dozens of residents on how to be Neighborhood Walking Ambassadors. The CD Street Stories multimedia contest challenges Central District youth to tell digital stories about how they relate to their communities when they walk. 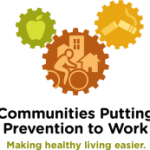 Feet First receives a grant from King County Public Health via the Center for Disease Control to work with eighteen schools in the districts of Seattle, Auburn, Kent, Highline, Tukwila, and Renton to promote healthy living through safe walking. Feet First conducts and creates a report from walking audits and uses this information to develop a walk-route map for each school. 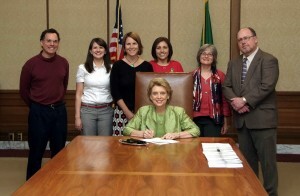 Feet First joins the Bicycle Alliance of Washington in a project sponsored by the Washington State Department of Transportation and the Office of Superintendent of Public Instruction. The task is to write a pedestrian safety education curriculum to accompany an already existing bicycle component, and then train middle school physical education teachers to use it in their classes. The eight lesson curriculum is taught to 175 teachers in twenty-five schools districts across Washington, reaching approximately 23,000 students by 2012. 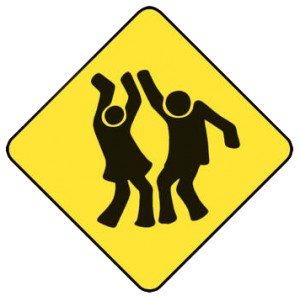 Feet First works with the Childhood Obesity Prevention Coalition to pass a bill that codifies the Safe Routes to School program into law. The first Feet First Walk & Talk tours the Seattle Waterfront led by Seattle City Council member Sally Bagshaw. Subsequent Walk & Talks visit West Seattle Junction (led by Seattle City Council member Tom Rasmussen), Yesler Terrace (Seattle Council member Nick Licata), Broadway (Seattle Council member Sally Clark), Houghton (Kirkland Mayor Joan McBride), and Redmond (Mayor John Marchione and artist John Fleming). 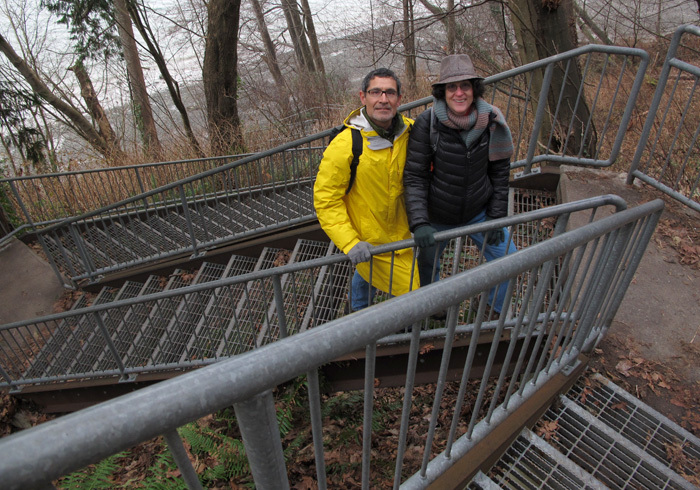 These walks provide an opportunity for local residents, elected officials, developers, planners, engineers, and other interested persons to build awareness of how walking plays an intricate role in connecting people, places, and transportation. Feet First holds a Walk to School Day event at Concord Elementary School in South Park. The Concord program for Safe Routes to School was chosen by Seattle Mayor McGinn to launch the Seattle chapter of the Michelle Obama “Let’s Move” campaign. 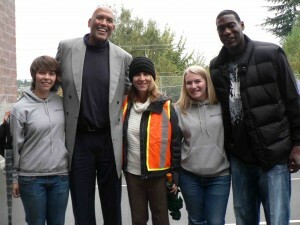 Guests of honor included former Seattle Supersonics James Donaldson and Shawn Kemp. 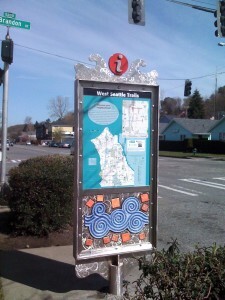 Feet First coordinates the design and installation of nine wayfinding kiosks in West Seattle to help people navigate around the community by foot. These kiosks are funded by the Seattle Department of Neighborhoods. 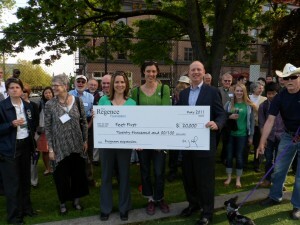 Feet First receives a $20,000 grant from the Regence Foundation to expand its Neighborhood Walking Ambassador Program in Southeast Seattle. Feet First receives a $25,000 grant from the Bullitt Foundation to expand the Feet First Agenda City Program, develop a Communications Plan, and support four Walk & Talk events. Partnering with Urban Trans North America through a contract from King County Metro, Feet First works to educate West Seattle residents about options for traveling by transit, bicycling, and walking as alternatives to driving on the Alaskan Way Viaduct in preparation for the viaduct replacement. The Feet First board adopts the Feet First Agenda, which acknowledges cities across the state that are taking steps to make the places where people live, work, and play easier to get to on foot. Recognized cities in 2011 are Bellevue, Kirkland, Redmond, and Seattle. Feet First completes a two-year project conducting pedestrian assessments in Seattle neighborhoods SODO, Georgetown, South Park, and North Tukwila for the Duwamish Transportation Management Association (TMA). 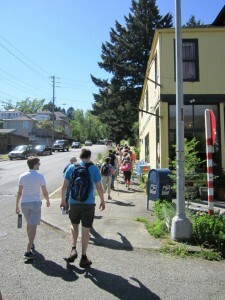 These assessments were part of the TMA’s Street Smart Study, which was completed in Fall 2011. The study includes recommendations for extending trails, adding sidewalks, and creating better signage for pedestrians. 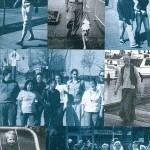 On October 11th, 2011, Feet First celebrates ten years of working to ensure all communities in Washington are walkable. Over 100 people attend the event, which featured keynote speaker Matt Lerner of Walk Score. Walking advocates and beer enthusiasts alike celebrated Earth Day with a 10 mile urban beer hike hosted by Feet First to raise awareness of walkable cities and sustainable means of transportation. Two dozen volunteers trekked kegs of beer from Two Beers Brewing Co. in the Stadium District to Latona Pub in Greenlake. Along with four other organizations, Feet First is selected by the Puget Sound Partnership and Leadership Council to win the Puget Sound Champion Award for the Watershed Walks program supporting its Neighborhood Walking Ambassador program. The award is given to organizations that go above and beyond to fulfill the goals of the Puget Sound Partnership’s Action Agenda. In the summer of 2012, Feet First campaigned to create a better, more walkable plan for the Northgate Link Light Rail station. As a result, Sound Transit agreed to provide up to $10 million in pedestrian infrastructure funding in the area, instead of building a 900 car parking garage. Watch the video below to learn more. Stairway Walks Day featured 15 walks from Jake and Cathy Jaramillo’s new book, Seattle Stairway Walks, published by local nonprofit publisher The Mountaineers Books. For one day, for two hours, almost 300 local residents participated in Feet First Neighborhood Walking Ambassador-led free simultaneous stairway walks to celebrate the Puget Sound Region’s amazing elevation changes and the individual characteristics and historical context of our local stairways. After completing Central District Street Stories and the Rainier Beach Touchstones project, we partnered with the Rivers, Trails, and Conservation Assistance Program of the National Park Service to bring the digital storytelling project to the Beacon Hill neighborhood of Seattle. Street Stories is a project designed to merge storytelling, technology, and neighborhood culture to creatively engage youth in understanding how a place for all people to walk contributes to the health, safety and vibrancy of a community. 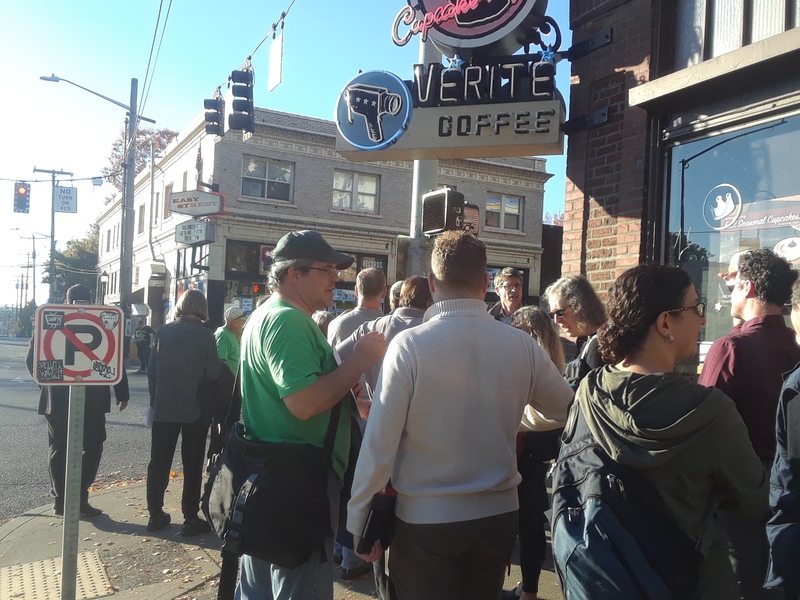 On the first weekend of May we participated in Jane’s Walk, coordinating 13 free neighborhood walking tours in Seattle, attracting over 200 attendees. 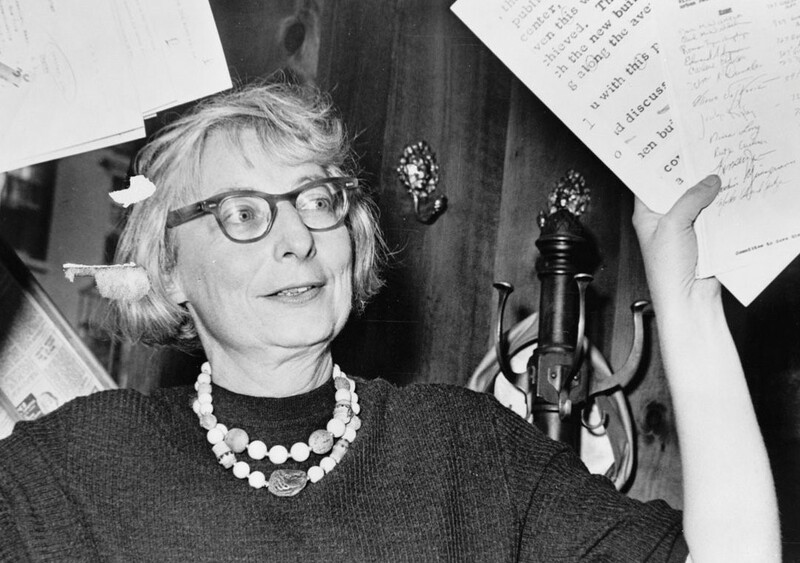 Jane’s Walk, an annual series of free, volunteer-led urban walks, was created in 2007 in Toronto by friends of the urban thinker Jane Jacobs to celebrate her work. This internationally-celebrated event bridges social and geographic gaps and creates a space for residents to talk about what matters to them in the places they live and work. 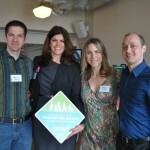 In April, Feet First held their first annual Walkable Washington Symposium at the Pike Place Market. It was a full morning of sharing ideas and building connections for collaboration among professionals and walkability advocates from across the state. Over 120 people attended. 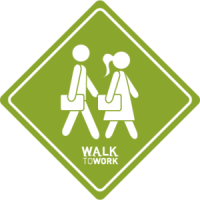 The Walkable Washington Conference has since become an annual event, with subsequent symposiums have been held in Redmond in 2015 and Bellevue in 2016. The future Judkins Park light rail station will occupy the site of the current Metro flyer stop on I-90 between Rainier Avenue S. and 23rd Avenue S. in Seattle. As part of our Sound Access for All campaign, Feet First has been working towards ensuring good walking access to the station, including the formation of a coalition of local stakeholders. In early 2015, Sound Transit agreed to provide a pedestrian bridge over Rainier Avenue S. to provide safer access to southbound transit stops along the roadway. In June of that year, we sponsored a Walk & Talk in the area which attracted over seventy-five participants. Feet First is working with the Lighthouse for the Blind to convince Sound Transit to ensure that the station design is safe and accessible for deaf and blind users. 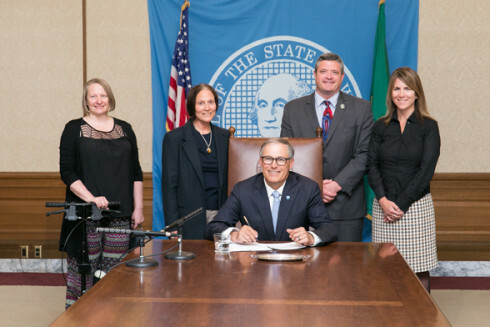 On Monday, May 11, 2015, Governor Jay Inslee signed into law Senate Bill 5957, which creates a Pedestrian Safety Advisory Council. The bill had earlier been approved by both the full House and Senate with bipartisan support. This advisory council will include experts in law enforcement, transportation, public health, and pedestrian safety. The advisory council will thoroughly review fatal and serious pedestrian collisions, examine collision data, and examine the relevant statutes, ordinances, and policies. Drawing on this information, the council provides an annual report recommending measures that could improve safety for people walking. 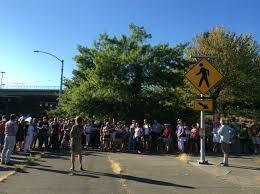 In September 2015, Feet First organized a Walk & Talk along the Seattle Waterfront to discuss issues related to plans for the reconstruction of Alaskan Way. The walk included speakers from Office of the Waterfront, Friends of Waterfront Seattle, Pike Place Market, Mack Urban, and Daniels Real Estate. For many years, Feet First has been working to convince the City of Seattle to adopt a narrower road profile that would be less daunting to people wanting to cross the roadway. WALKTOBER is Feet First’s annual statewide campaign to promote walking throughout Washington. Whether commuting to work or school, running errands, or just stepping out for fun and exercise, WALKTOBER provides people numerous opportunities to walk more and connect more. As part of this effort, Feet First sponsored thirty events. Over one-thousand people participated along with students at over one-hundred fifty schools. In November 2015, Seattle Voters overwhelmingly approved Proposition 1, a nine-year $930 million transportation funding measure. This includes money to fund city Safe Routes to School efforts, build 150 miles of new sidewalks, and improve pedestrian safety at 750 intersections across the city. The measure also includes $15 million for construction of the Northgate Pedestrian/Bicycle Bridge. Feet First endorsed the Move Seattle campaign and helped with doorbelling and phone banking efforts. 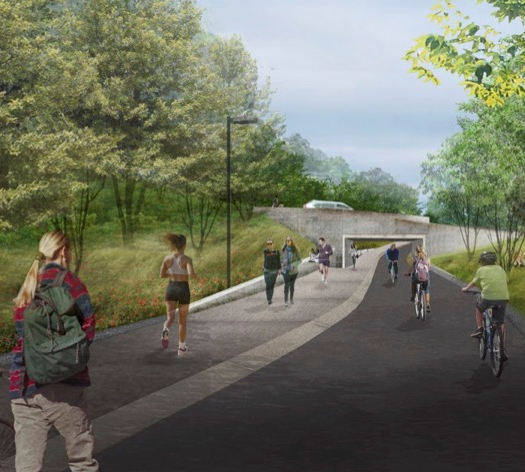 Finding funding for the Northgate Pedestrian/Bicycle Bridge, which would connect North Seattle College with the future Northgate light rail station, had been a major priority for Feet First for several years. The passage of the 2015 statewide transportation budget along with voter approval of Seattle’s Move Seattle levy that fall secured a total of $25 million for this project. This money, combined with the $10 million already pledged towards the bridge, means that the project is now fully funded. The facility is currently scheduled to open along with the light rail station in 2021.